6 Tbsp EVOO, divided, plus enough to fill a pot 1/2-3/4"
Fill a small pot with 1/2-3/4" EVOO and heat over medium. 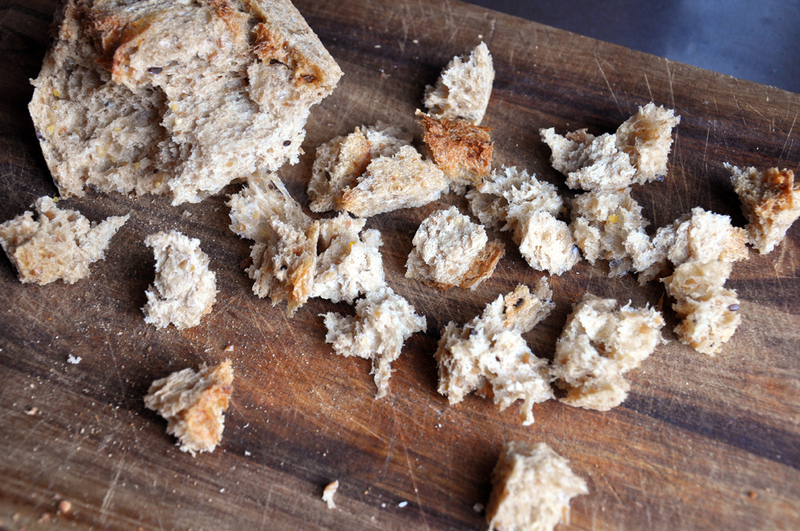 Meanwhile, tear crouton-sized pieces from the loaf. When the EVOO reaches 350 F, fry in batches until golden. 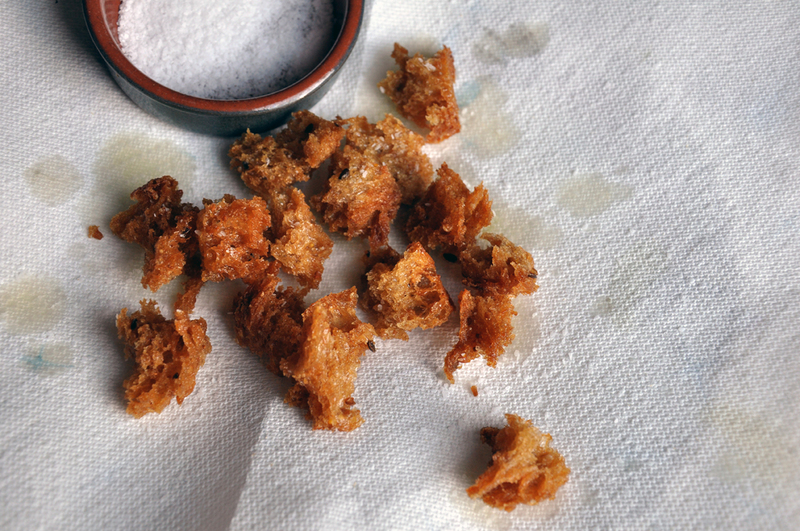 Remove to a paper towel-lined plate and immediately sprinkle with salt before it cools. I used 1/2 tsp for the 8 oz bread. 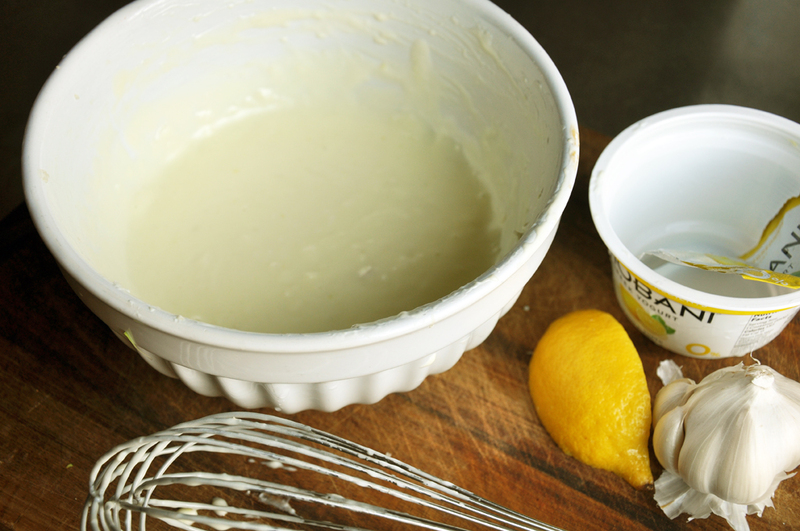 To make the dressing, whisk together yogurt, lemon juice, garlic, honey and remaining 1/2 tsp salt. 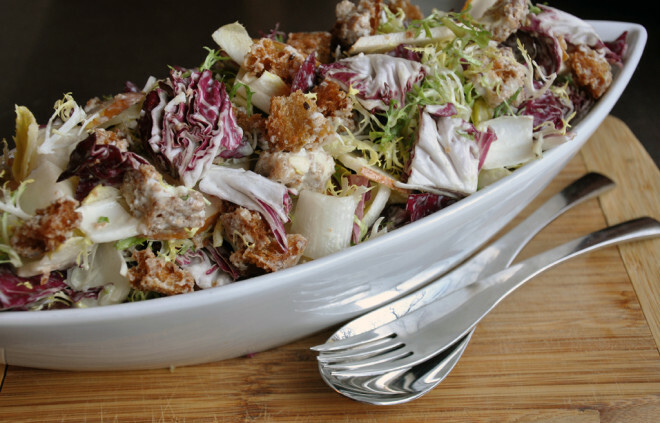 To assemble the salad, add chicory, pear and croutons to a large bowl. Pour dressing over and toss well. Serve immediately before croutons soak up too much dressing and become soft.